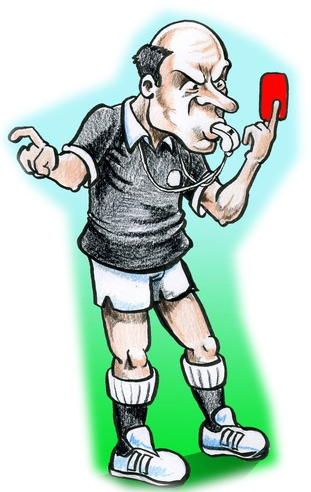 Football referee cartoon. Free to use cartoon for non-profit organisations and individuals. For commercial use contact me for prices. More cartoons can be found in the growing free cartoon archive.